Dominion Center for Behavioral Health Services (DCBHS) is one of the largest multidisciplinary mental health practices in Loudoun County. 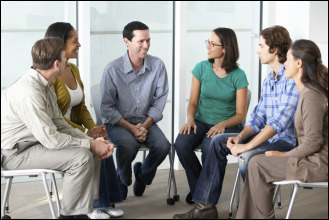 Partnered with Grafton Integrated Health Network, DCBHS provides the highest quality psychiatric, psychological and counseling services for individuals in Northern Virginia. DCBHS offers a wide variety of services in a cost-effective manner; we accept and bill most major insurance plans.